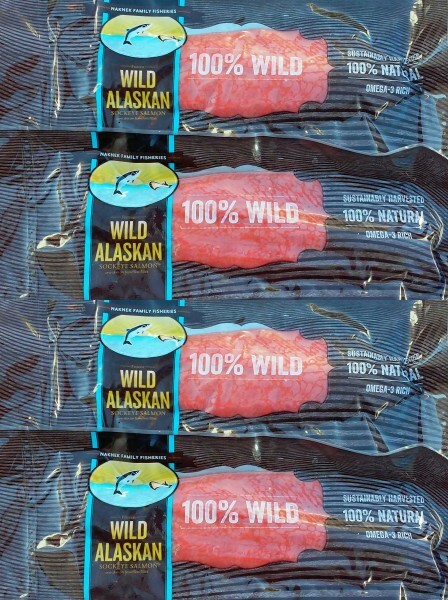 Sockeye salmon — once-frozen, vacuum packed, hand cut, live bled, wild and sustainable boneless portions, 4-6 oz apiece. 10 lbs. Hand-delivered to you within the Tucson metro area. Delivery included in price.